On October 18th, Lenovo held a new product launch conference in Beijing. 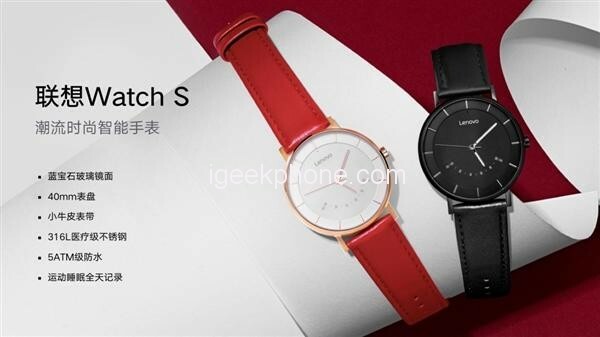 In addition to the launch of Lenovo S5 Pro, Lenovo K5 Pro, Lenovo K5s and Lenovo Watch C Xiaole children’s phone watch, it also brought a The new smartwatch “Lenovo Watch S”, the overall style is fashionable. 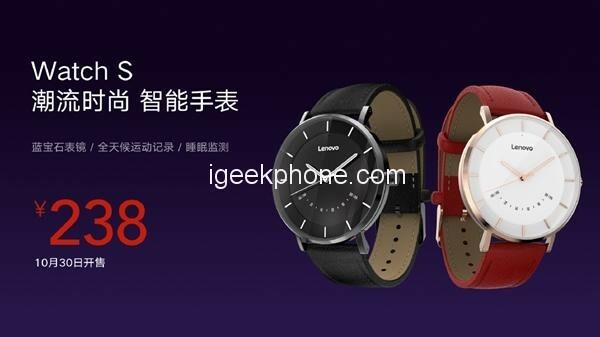 At the meeting, the official announcement that Lenovo Watch 9 and Watch X / X Plus cumulative sales of more than 1 million. 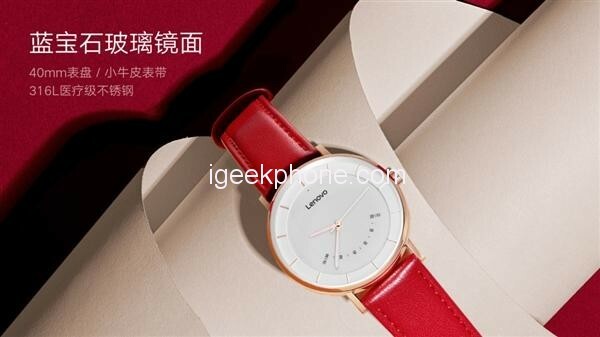 The new Lenovo Watch S is equipped with a 40mm simple double dial design, sapphire glass mirror, 5ATM waterproof, and only 11mm thick. The strap is made of calfskin and is available in 316L medical grade stainless steel with a choice of red and black. Lenovo Watch S uses imported gearboxes to create an intellectual movement that improves the stability and accuracy of the watch. The hands are covered with a paint that emits long-lasting luminous light, so you can see the time clearly even in the dark night. 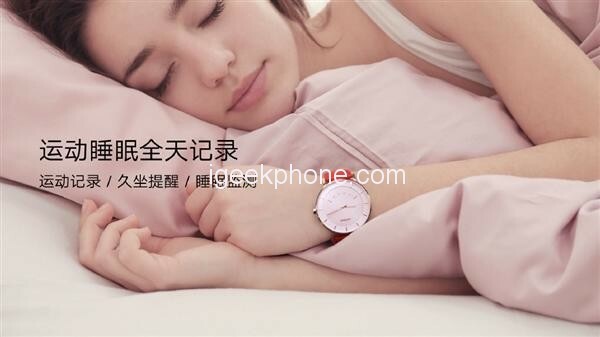 Functionally, Lenovo Watch S supports information reminders, find mobile phones, sedentary reminders, gesture photos, support all-weather sports records, sleep monitoring and other functions, free charging, and use button batteries. 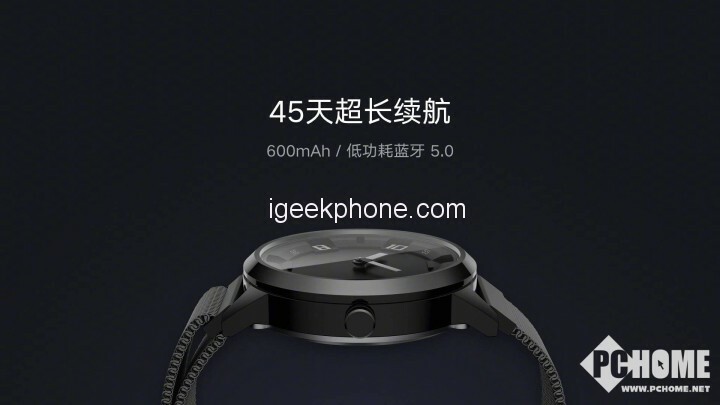 In terms of price, the Lenovo SmartWatch X will cost 299 yuan ($43.10) and will be sold at 10:00 am on October 30.